Stage two of the OVO Energy Women’s Tour took the riders into Northamptonshire, with the first climbs bringing some of the favourites to the fore. At the finish in Daventry it was Coryn Rivera, the American on Team Sunweb, who narrowly beat Marianne Vos, the Dutchwoman who won the first Women’s Tour in 2014. 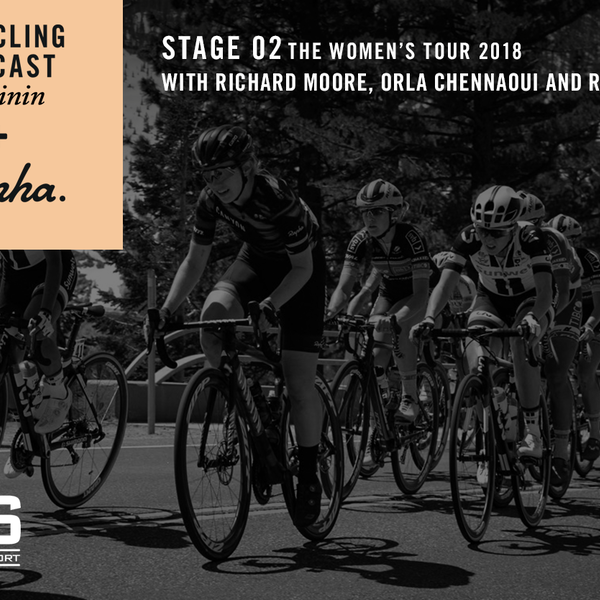 The Cycling Podcast Féminin reports from the finish with Richard Moore, Orla Chennaoui and Rose Manley discussing the talking points from the stage. There are interviews with Rivera, a disappointed Vos and her teammate Dani Rowe, the top British rider. We also hear from Danny Stam, who runs Boels-Dolmans, the world’s top team, and Maaike Boogard, the young Dutchwoman who was the day’s breakaway queen. There was some confusion after stage one when Abi Van Twisk, who rides for Trek-Drops, crashed and left the race in an ambulance. Van Twisk was later declared fit to carry on racing by the doctors and, though heavily bandaged, lined up at the start in Rushden. In the end it proved too much for Van Twisk, who didn’t finish – we hear from her before and after the stage, as well as from the race doctor, Matt Gray.